N A I L S B Y J E M A: Blank Templates For Your Nail Art! 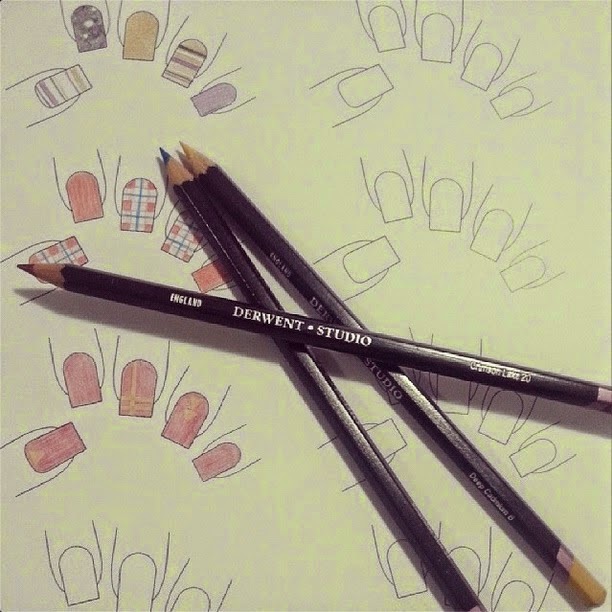 Back in May I created some blank nail art templates because I was sick of always drawing nail outlines when I wanted to create or document ideas to put on my nails at a later time. I made them square and a medium length because that was the shape and length of my nails at the time, but when I posted a photo of them I had a tonne of people asking me to share them with them. So I made them downloadable in a post in June, but only the square shape, because that was my shape. AND TONIGHT I FINALLY DID!! YAY! 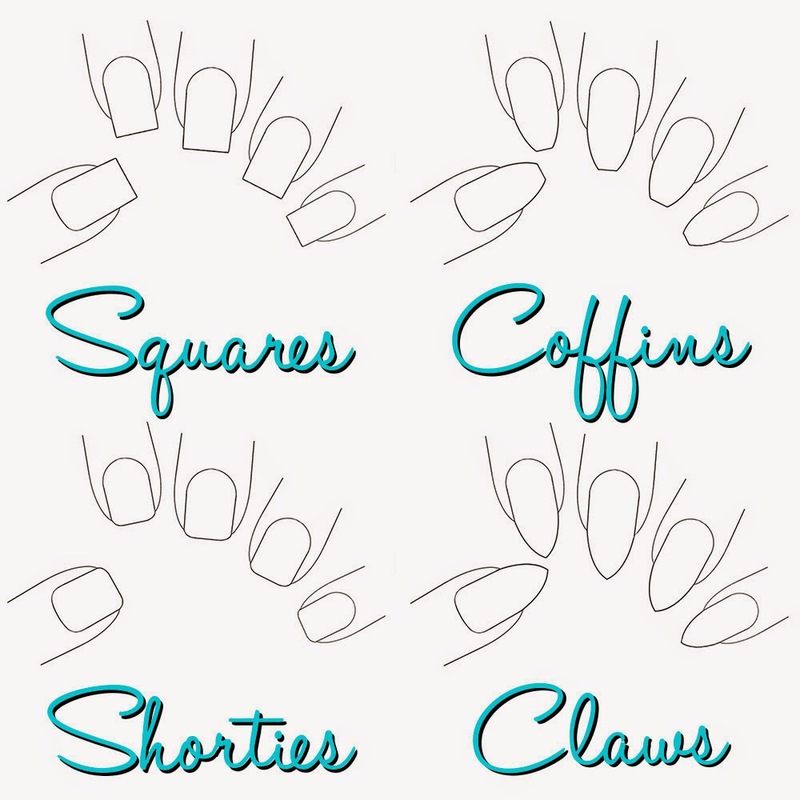 I made the claws, coffins, and squoval shortie shape and am working on ovals and rounded shorties to put up later (I really need to get to bed!). They're available to download below. Just click on the shape you want, download the PDF and print out as many as you need! I punched holes in my print outs and keep them in a folder in my nail shelf with my pencil case so I can design and colour whenever I feel like it. They're all free to download and use and if you use it for some really badass mani's I'd love for you to tag me on instagram with #lookjema so I can see! Omg thank you so much for this! Now when things look better in my head I'll get to see it before it's on my nails. I wanted to try the claws but the file didn't opened it. You do a great job, the shapes of nails are as perfect as they have to be. Thanks for sharing your awsome talent with all of us Stay Blessed! Thanks. This will help with me practice my nail art. Thanks for sharing, I need to improve my poor nail art skills and these templates will be very useful!